The reason you see fine motor activities all over the internet for preschoolers is that developing these skills is so important. They’re the foundation for the formal skills of writing and tying shoes, but also are used for building, playing, creating, cooking and more. Giving kids opportunities to practice and develop their fine motor skills–like with this apple lacing busy bag–increases their confidence and ability to engage in their world. 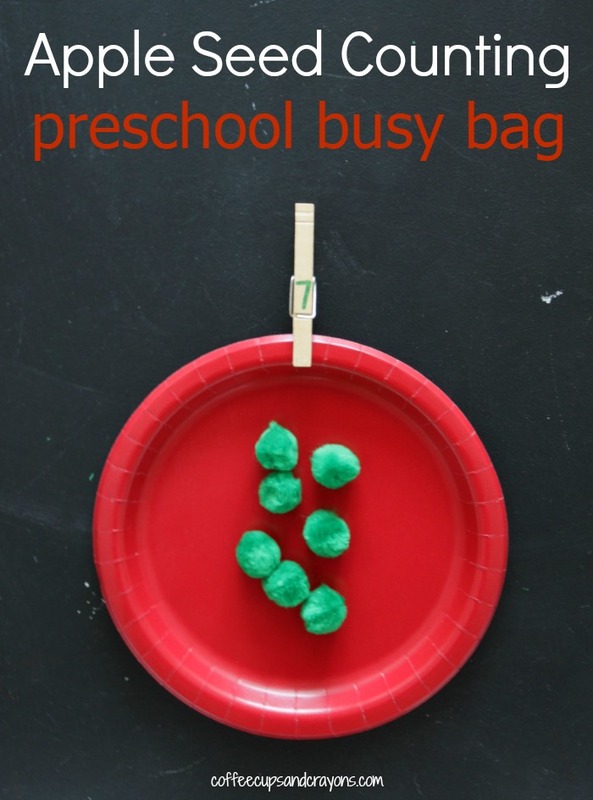 Busy bags have long been a favorite way to sneak in fine motor practice because kids can use them over and over again getting in valuable practice each time they play. They also keep kids busy and having fun on their own so you have a chance to get something else done. This one is so simple to make you probably already have figured it out! 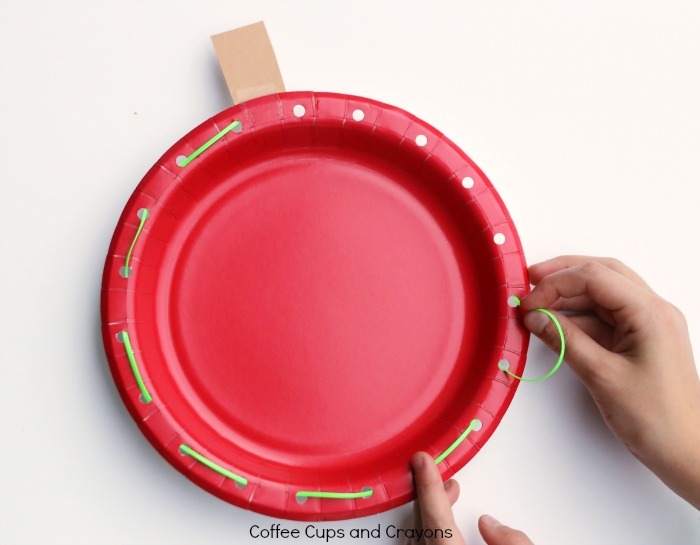 Use the hole punch to punch holes along the edge of the plate or cardstock circle. Add a stem to the top of the plate with the brown paper. 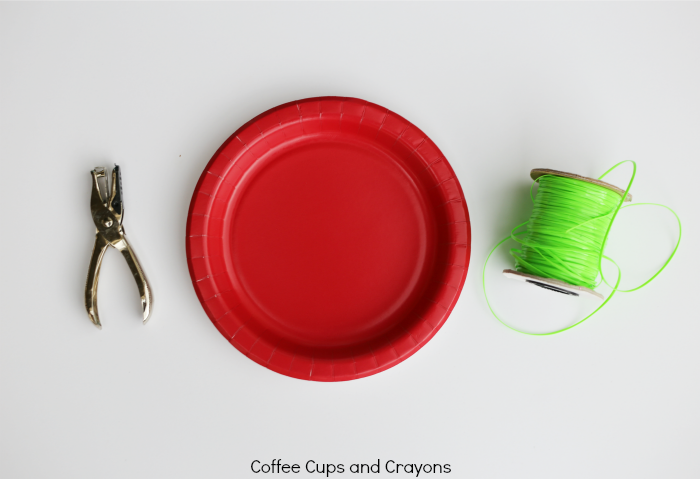 Cut a piece of green plastic string or yarn that’s long enough for a child to lace through the edges of the plate. If using yarn you can add tape to the end of it to provide a firm point to make lacing easier for little fingers. To keep the string with the plate for storage or ease of use you can use hot glue to attach it to the back of the plate. Or leave it separate if you think that will work better for your child. 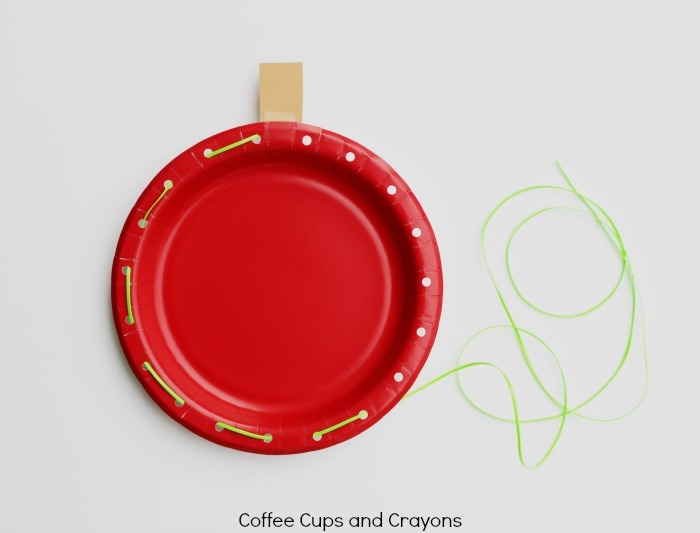 Kids develop fine motor skills by using their fingers to lace the string through the holes in the edge of the plate. As they navigate the holes they are strengthening their muscles and stretching their brains to problem solve at the same time. All with a simple paper plate with holes in it! You can adapt this simple design to the level your child is working at. If simple lacing around the edge isn’t enough of a challenge then poke holes throughout the center of the plate for them to lace. You can even number the holes to add in some counting practice! 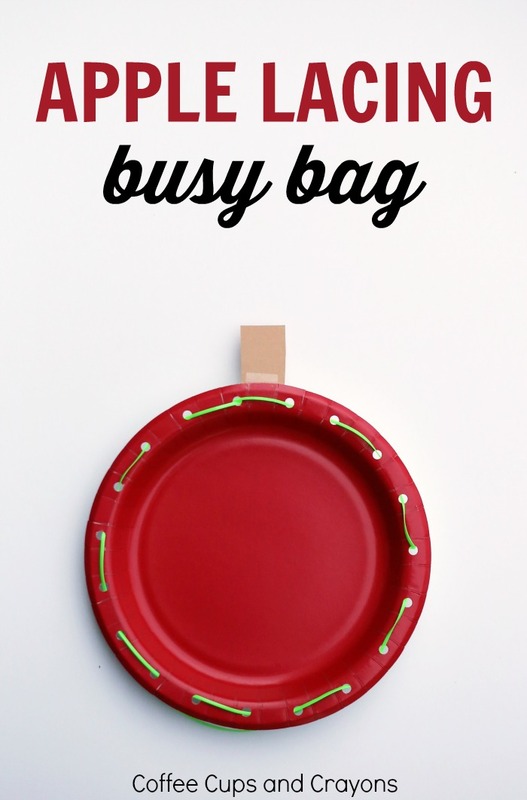 As long as you have the red plates grab some more supplies from the craft cabinet and make an apple seed counting busy bag for your kiddos! In less that 10 minutes you can have two apple-riffic busy bags ready for the kids to play and learn with. 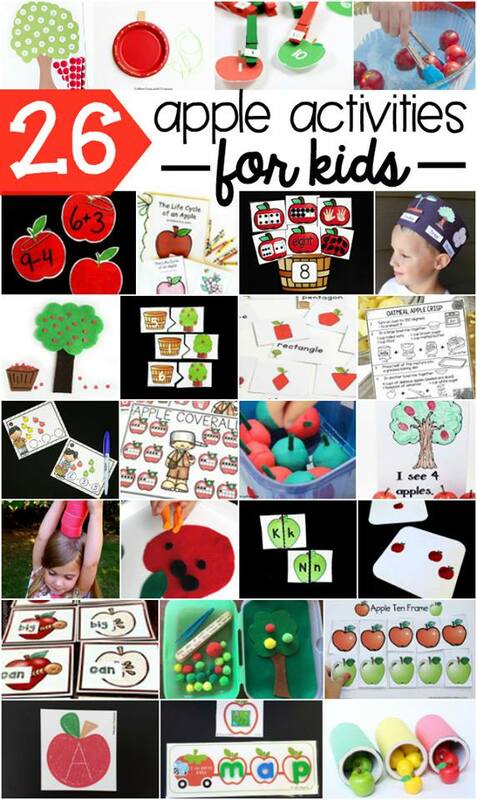 Keep the apple fun going with 20 more apple activities kids will love!